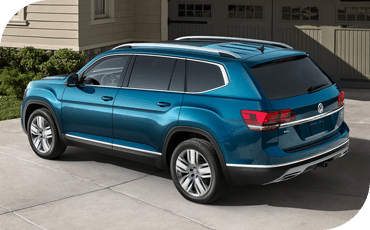 Which Seattle SUV Fits Best | 2018 VW Atlas or 2018 Honda Pilot? Three-Row SUVs Compared for Seattle: 2018 Volkswagen Atlas or 2018 Honda Pilot? Some say it's the journey that matters, not the destination. We're not so sure about all that — but we're sure you'll enjoy the journey more when your friends and family are all along for the ride. That's why we're so excited to announce the 2018 Volkswagen Atlas is in our inventory at Carter VW. 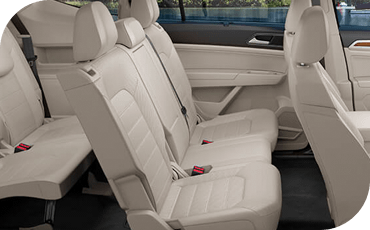 It's the all-new three-row SUV from Volkswagen for up to seven passengers! To show you just how remarkable this new SUV is, we're comparing it against some of the top competitors in its class, like the 2018 Honda Pilot. It's one of the most popular models in this segment, but it's not up to the challenge posed by the 2018 VW Atlas. Discover below how the Volkswagen Atlas provide superior features, comfort and performance. Passenger volume is quite comparable throughout both of these family-haulers, but the 2018 Volkswagen Atlas is definitely the larger of the two. 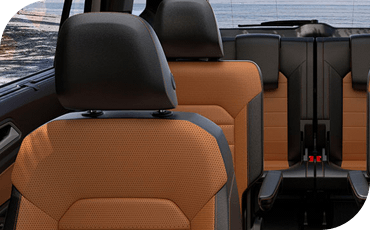 You can really tell in the wayback — you'll get an extra two inches of legroom for passengers in the third row of the VW Atlas compared to the 2018 Honda Pilot. And behind that, you'll find an additional four cubic feet of cargo storage in the 2018 Volkswagen Atlas, too! With 20.6 cubic feet of storage behind the third row, you can comfortably transport seven adults and all their stuff in the VW Atlas. That's not something you can say about many SUVs in this segment! The 2018 Honda Pilot still comes standard with a static, button-operated infotainment display with just Bluetooth to connect your phone for hands-free operation. 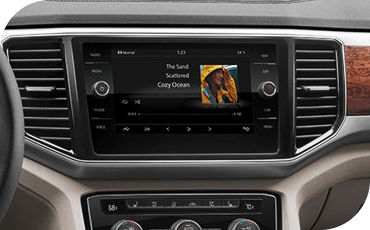 By contrast, even the base 2018 Volkswagen Atlas provides a standard touchscreen display plus Android Auto™ and Apple CarPlay™ technology. To get similar features on the Honda Pilot, you'll have to pay extra for a trim level upgrade. Every 2018 Honda Pilot gets the same V6 engine. It's impressively powerful, but the 2018 Volkswagen Atlas offers superior fuel economy from its standard turbocharged four-cylinder engine. You'll particularly notice its benefits in the city, where it achieves up to 22 MPG. That's compared to just 19 city MPG from the 2018 Honda Pilot. If you want even more torque than the Honda Pilot offers for improved quickness from a stop, you can upgrade the 2018 VW Atlas with its own available V6 powerhouse! It's crucial that your next family SUV be safe in the event of an accident. Luckily, both these cars are remarkably safe — earning five star overall safety ratings in government crash testing, as well as Top Safety Pick awards from the Insurance Institute for Highway Safety! However, IIHS testing rated the 2018 Honda Pilot just "Acceptable" in the passenger-side small overlap crash test. By contrast, the 2018 Volkswagen Atlas earned the best-possible "Good" score in this and all other crashworthiness areas! Both these SUVs are available with a number of crucial driver assistance features, like pre-collision automatic braking and lane-keeping assist. However, there are a few such features only the Volkswagen Atlas enjoys. For one, the Park Assist system enables the 2018 VW Atlas to both measure a parking spot to determine if it will fit and steer into the spot automatically, leaving you to simply operate the pedals. This technology works for parallel or perpendicular spots, making living with a big SUV in the big city a little easier. The available Park Distance Control with Maneuver Braking further helps you protect your 2018 Volkswagen Atlas. It'll stop you automatically before you get too close to a signpost or another parked vehicle — to protect you and your paint job. Renowned German engineering is made affordable and practical for everyone at Volkswagen! 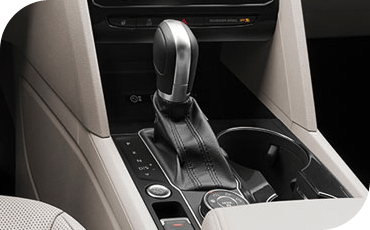 There's a reason why popular VW models have received so much industry praise, including Editor's Choice awards for the VW Golf and VW Atlas from the trusted enthusiasts at Car and Driver magazine. It all comes down to exceptional quality, performance and safety in a practical, affordable package. Visit Carter Volkswagen in Seattle for your test drive today to experience all this and more for yourself.